After the Cabinet meeting, Defence Minister Arun Jaitley said the strategic partnership model is part of the Defence Procurement Policy. THE DRAFT strategic partnership policy under which select private firms will be engaged to build military platforms came up for discussion at a meeting of the Union Cabinet on Wednesday, four days after the Defence Ministry approved it on Saturday. After the Cabinet meeting, Defence Minister Arun Jaitley said the strategic partnership model is part of the Defence Procurement Policy. “As it is an important issue, the Cabinet took note of it,” he told the media. The new policy is expected to attract investment worth billions of dollars in defence manufacturing by private defence majors, including leading foreign firms. 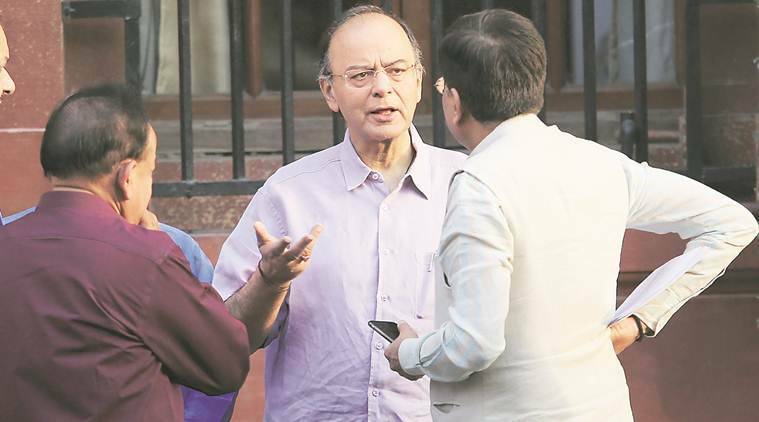 The policy was also discussed at a meeting of the Cabinet Committee on Security (CCS) — after the Defence Ministry finalised the proposal on Saturday, it was forwarded to the CCS for finalapproval. “We would like to start it as fast as we can,” Jaitley said in reply to a question on when the new model will be implemented. He said the private sector and defence PSUs can co-exist, and that the government will increase its spending in defence procurement from domestic industries. The Cabinet on Wednesday approved setting up of an AIIMS in Kamrup, Assam. The Rs 1,123-crore project is slated to be completed in 48 months from the date of approval and will comprise a hospital with a capacity of 750 beds, trauma centre facilities, a medical college which can accommodate 100 MBBS students per year, a nursing for 60 BSc (Nursing) students, residential complexes and allied facilities on the pattern of AIIMS, New Delhi.